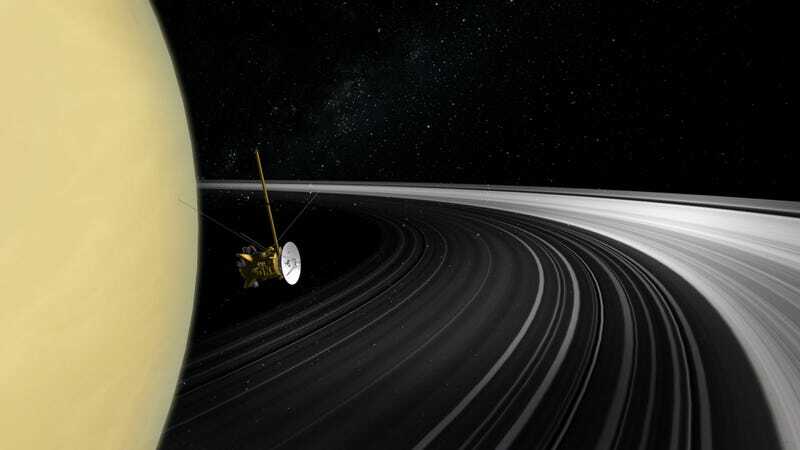 A team of scientists analyzed Saturn’s gravitational field and the mass of its rings, based on data from the Cassini mission, which ended in 2017. Their measurements led to insights about the planet’s composition and the rings’ young age, at least from an astronomy standpoint. “There were people thinking that once we determined the interior of Jupiter, one could know what the interior structure of Saturn was. It turned out to be wrong, because they’re quite different,” he said. It appeared as if the planet’s atmosphere flows and moves around deep into the planet, perhaps 9,000 kilometers (5,600 miles) beneath its cloud tops. But there are still mysterious, unattributable pieces of the planet’s gravity that might be caused by convection, turbulence, or oscillations. They don’t know, said Iess.